Home / News / New CD Available for Purchase! 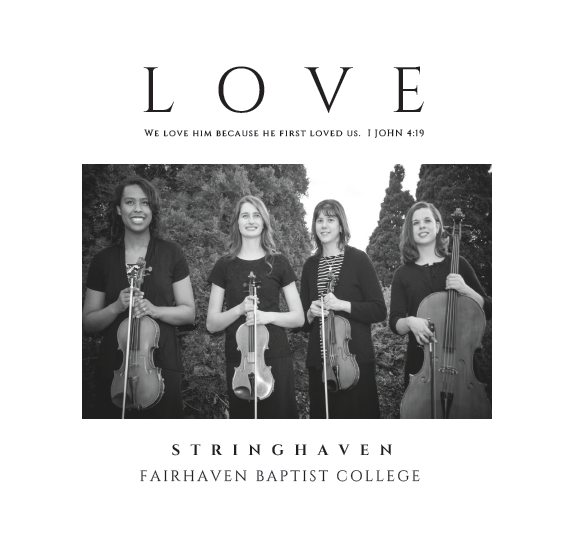 Fairhaven’s newest music CD is complete and available for purchase. 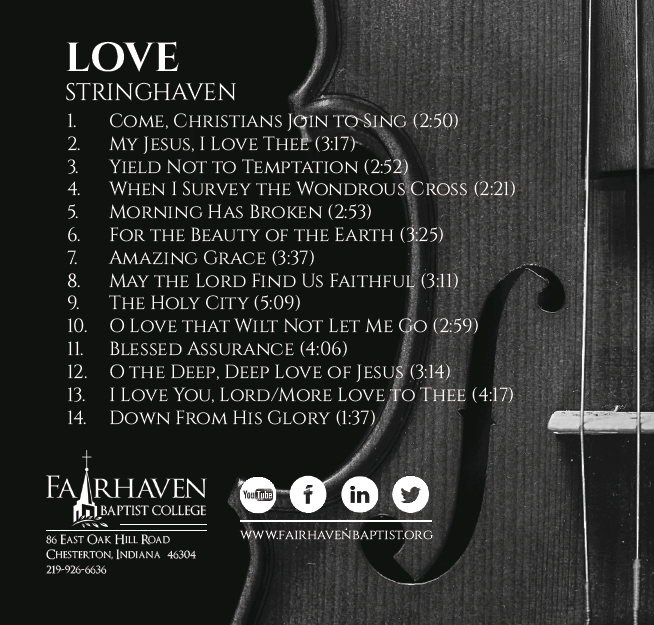 The beautiful string music CD was produced by Stringhaven, a Fairhaven Baptist College group. The CD entitled LOVE is a “must have” for your music library! You can purchase the CD online through our bookstore. The release special of $12 is good through November 20. Click on the picture below to purchase.